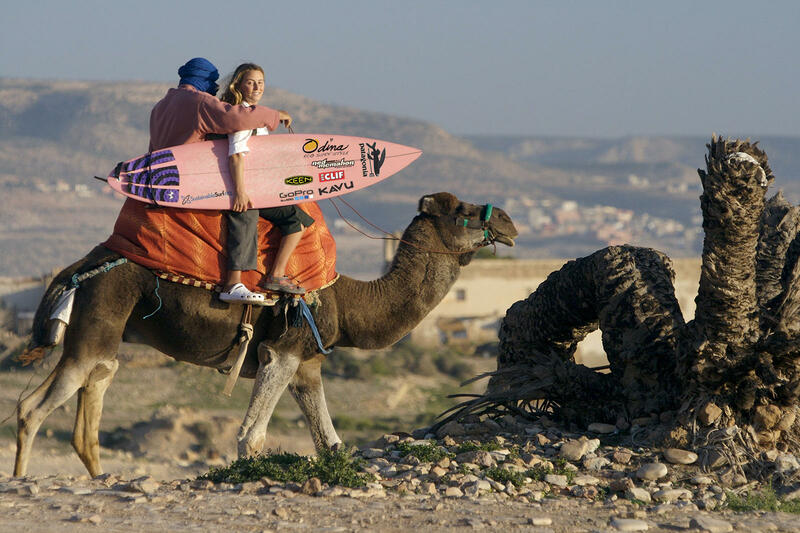 Alison Teal in Morocco, signature pink surfboard in hand. Alison Teal grew up traveling the world with her adventure-photographer parents. She’s following in their footsteps by globetrotting with a camera and a pink surfboard to create the online TV show Alison’s Adventures. Teal shares her cross-cultural experiences at the University of Wyoming on Wednesday, March 12. She stopped by the WPM studios to speak with Wyoming Public Media’s Micah Schweizer. 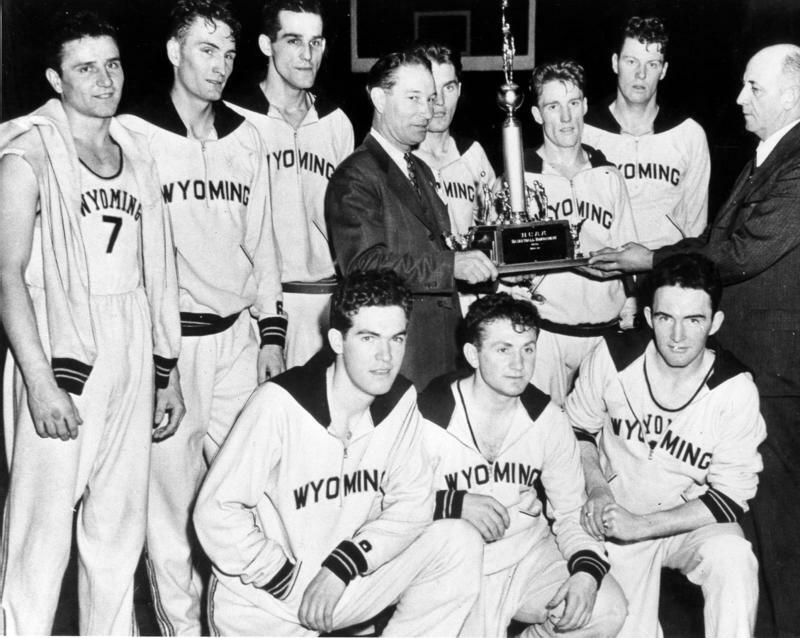 The University of Wyoming won the national college basketball championship in 1943. Shortly after their triumph, several Cowboys started training for a bigger fight: World War II. A new movie about the Cowboys’ epic championship game victory over St. John’s University in fabled Madison Square Garden premieres tonight, March 6, in Laramie at The Wyo Theater at 7pm. 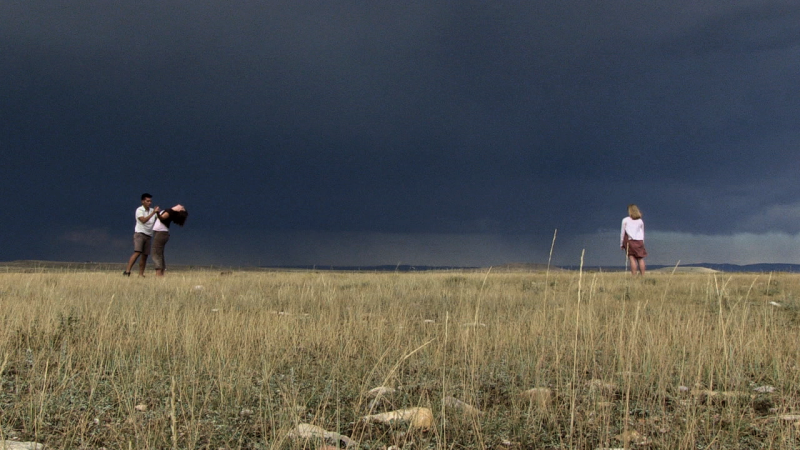 A new video-dance premiers at the University of Wyoming this week. To make the five-minute video, three dancers improvised in front of the camera at Curt Gowdy State Park and Lake Hattie, near Laramie. The video-dance explores what it means for the dancers to be fully present in and influenced by nature—hence the title, ‘by and in.’ Wyoming Public Radio’s Micah Schweizer spoke with the film’s director, Rachael Shaw. A documentary about the construction of the transcontinental railroad is set to air on Wyoming PBS this weekend. The film will show how the building of the railroad shaped Wyoming into the place it is today. Wyoming Public Radio’s Willow Belden spoke with the film’s producer, Tom Manning. He says before the railroad was built, there was no Wyoming. The film, “End of Track,” premieres on PBS on March 10th at 7 p.m.
A two year study seeks to help the University of Wyoming develop ways to improve International Education. UW International Programs Director Anne Alexander says the first recommendation in the report involves training faculty to teach students about international issues. Another recommendation involves teaching the entire state.